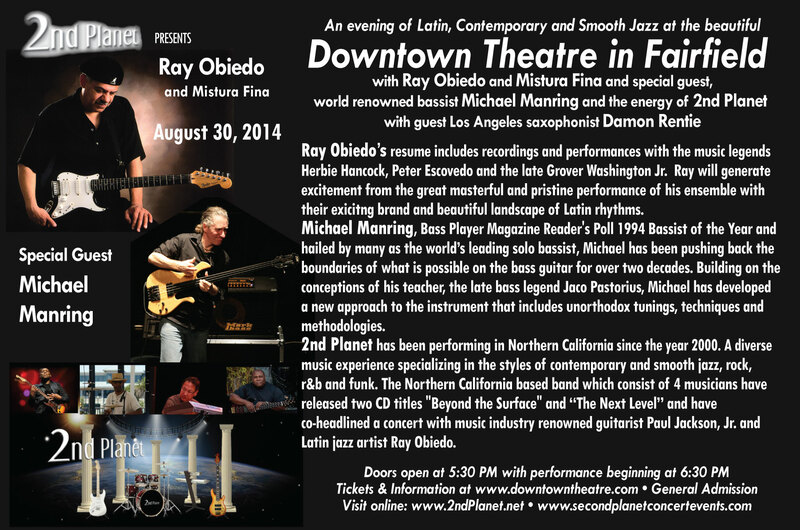 Ray Obiedo, 2nd Planet & bassist Michael Manring on August 30, 2014. 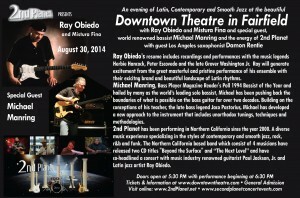 You are all invited to 2ndplanet’s concert event on August 30, 2014 featuring Ray Obideo and Mistura Fina, bassist Micheal Manring and of course 2nd Planet with Los Angelas saxophonist Damon Rentie. This evening of great music is one that you don’t want to miss! 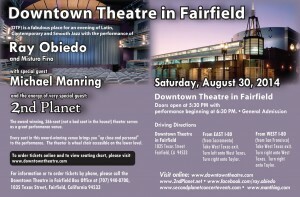 The doors open at 5:30 PM with the concert starting at 6:30 PM.